This post is sponsored by Pernod Ricard, but the content & opinions expressed here are my own. Cherish every gathering with friends. We often forget how quickly time goes by, how the good ol' days are often the days we're already in. Eventually, we catch ourselves saying, "remember when?" I say, remember now! These are the moments that matter! Fred & I decided to host an impromptu party with a few friends. Because, why not? Whether it was cooking with purple potatoes or blending essential oils, our guests loved that they were a part of the decision-making throughout the entire party experience. We picked up a bottle of Absolut Elyx at the store. It was locked behind glass doors & the cashier needed a key to unlock it. That's how I knew we were in for a treat! 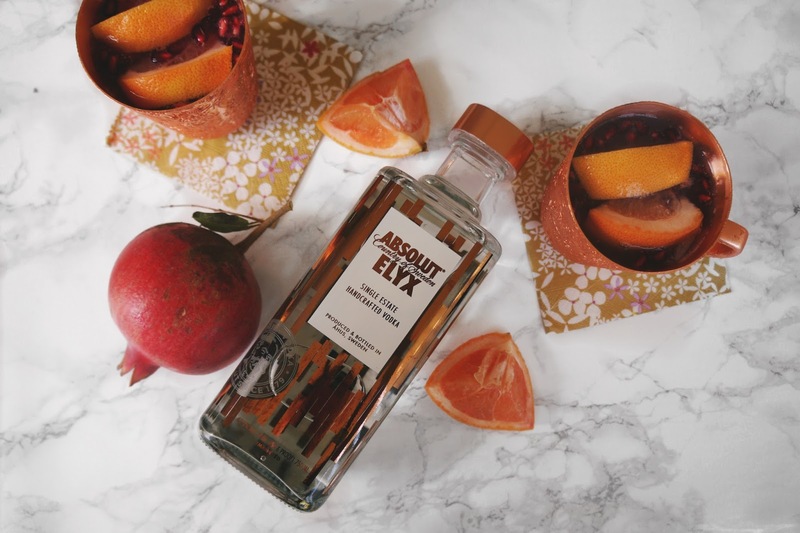 Elyx is a single estate, copper crafted, vodka that is the luxury expression of Absolut. 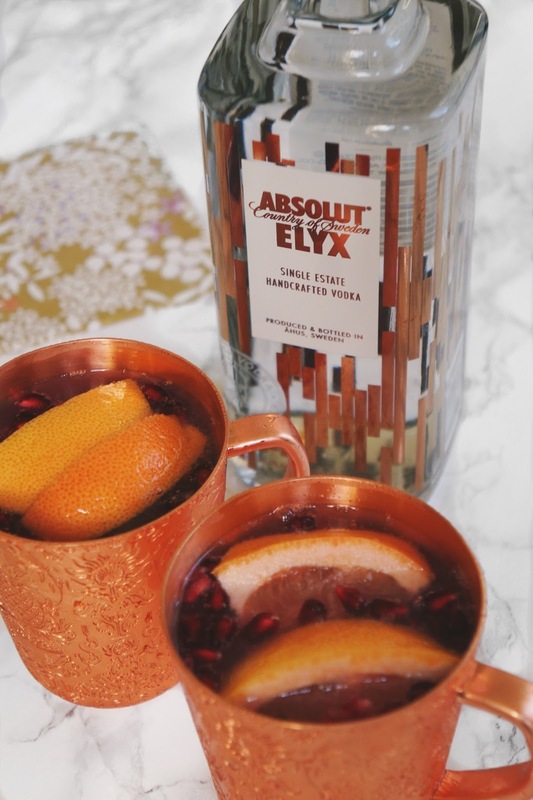 The unique copper catalyzation process gives Absolut Elyx its renowned taste. I created a cocktail with a few items I had on hand: vodka, fresh fruit, & sparkling water. Your guests need to know how to navigate through your house during their stay. It helps to go together to create a little tour out of it. Take this time to point out the bathroom (definitely the most important part of a house tour! ), any notable photos, souvenirs from trips, or intriguing bits of information. Hook up a speaker. Pop open your laptop. Whip out your phone. Just put on some music. Music is a party catalyst; it's known to transform the entire vibe of a gathering. Get your friends involved. Ask them to play a song or music video they're currently loving. Any genre, any language. After doing a poll to see if anyone wanted pizza, tacos, something from takeout, there were absolutely no decisions. Someone sighed & said they wanted a home cooked meal, so that's what we did. We took out whatever we had & got the guests involved in choosing what to include or what to put back in the fridge. After all, these are the moments that matter. "No, I had spaghetti for lunch." With all the delicious stuff happening in the kitchen, it's prime time for some essential oils. My guests loved experimenting with the diffuser. They were able to work together, mixing & matching essential oils to fit the mood. "Who needs rejuvenation? Anyone in the mood for lavender? What about eucalyptus or lemon?" Does anyone need a fresh drink? Get them involved. Do you want grapefruit sparkling water or plain sparkling water for your beverage? 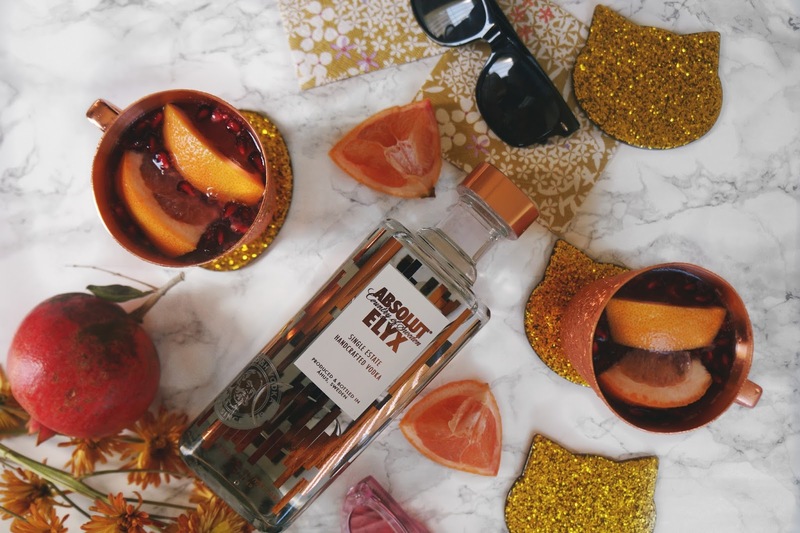 Much like my own core hosting values, Absolut Elyx tells a story that embodies true hospitality, integrity, warmth, playfulness, & style. 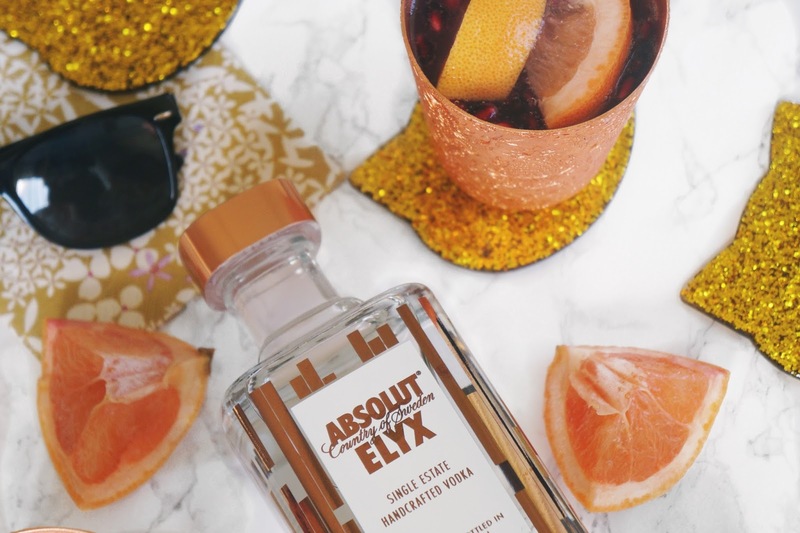 Every drop of Absolut Elyx is produced using winter wheat grown on one single estate in Southern Sweden. The copper cups made the entire experience better & to be honest, really gorgeous to look at. 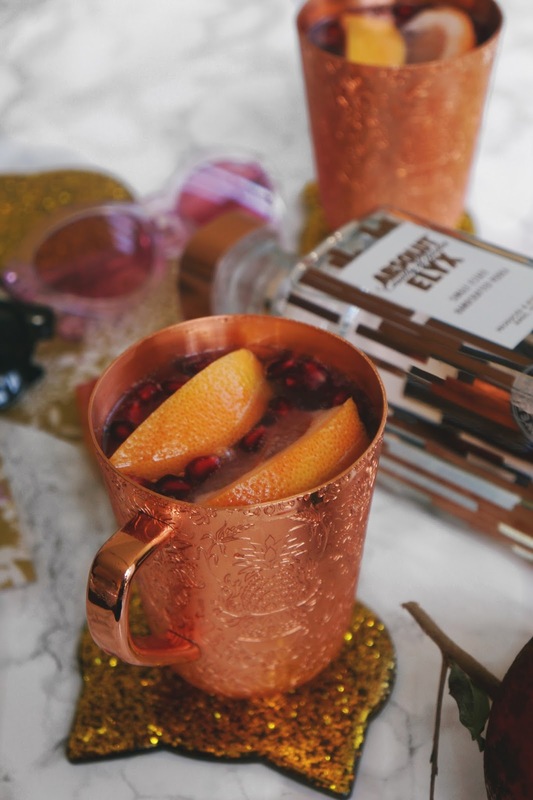 Browse Elyx Boutique & check out their timeless stemware. Copper makes it better! 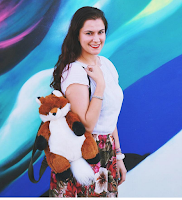 These are some of my simple tips on how to include guests into partying decision-making. It totally elevated the entire experience. Everyone had a say & made their own contribution throughout the evening. After all, these are the moments that matter! I want to come to this party. I t looks so amazing. 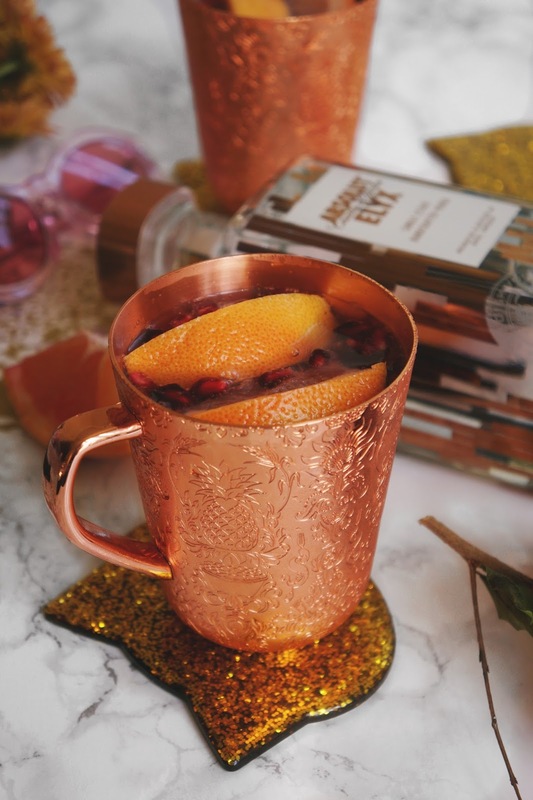 These copper mugs are the cutest, I need to get them next!! Sounds like a great party and cocktail. I love this! It makes everybody feel involved :) Also omg LOOOVE those cups! This sounds so divine and these cups are just so pretty! I think it's great to get guests involved with making decisions. There have been many times where there isn't much for me to eat a a get together because I am vegan and gluten free. I would be happy with hummus, veggies and crackers, or chips, salsa, and guacamole! 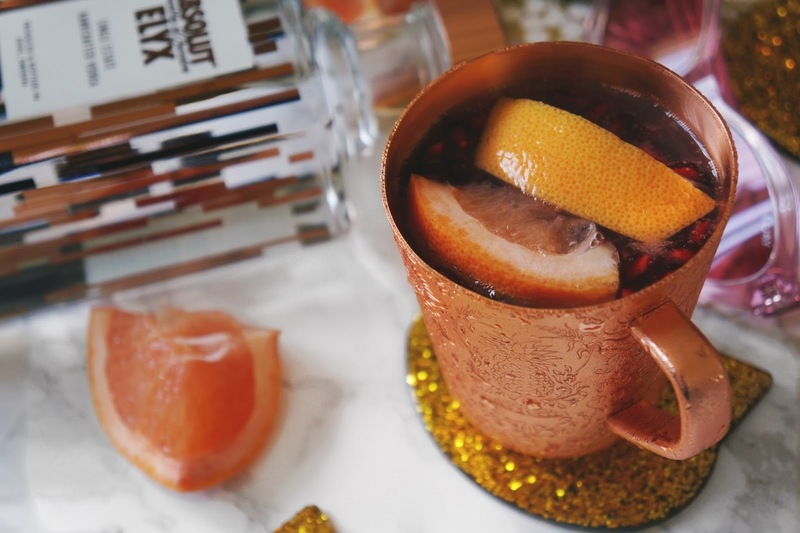 Your pictures for this post are so perfect, those coasters are to die for! 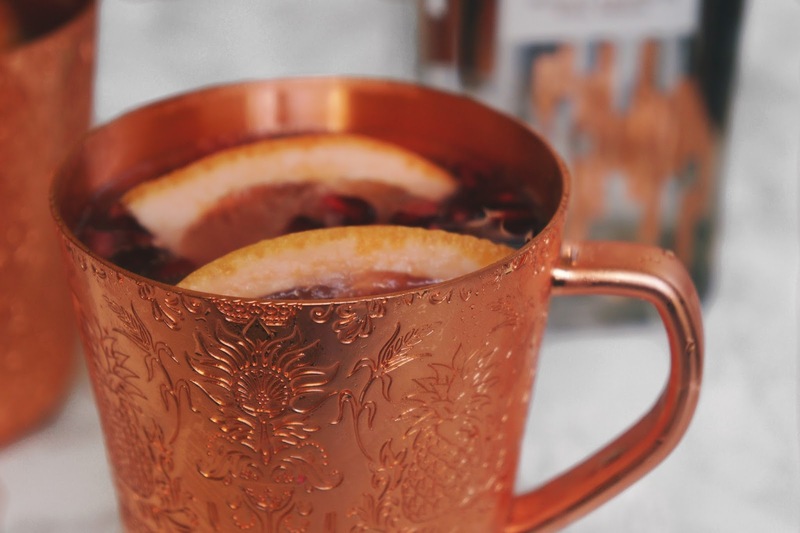 I love those beautiful copper mugs. They're so darn fabulous! Thanks Sofia! I'm loving them!